I had my first appointment with the midwives on Monday, which was great. I feel the most comfortable with them than any other medical provider I've been to, and my slightly more crunchy tendencies are welcomed :) So she listened to the heartbeat, said it was exactly where it should be and sounded great, and then we mainly just talked about my history and care under with the high-risk doctor, and we also touched on some other things we'll discuss in more detail later, like labor and hospital stuff. She also seemed a bit skeptical that I'm still considered high-risk just because this is an IVF pregnancy, but since they are considered the experts in high-risk pregnancies, she said she'd usually defer to the high-risk doctors' opinion if they really do think it's medically necessary to keep seeing me. She did ask me to call her back to talk about it more after I tried one more time to see if I really needed to keep seeing them too, since we're concerned if I stop going to them that it would burn some bridges that we may need later, and if it really is necessary, then obviously I should keep going to them anyway. So I went in to see the high-risk doctor yesterday, which went well too. Everything was fine that they wanted to check on, and I asked again if I'm still considered high risk, and I again got the answer (from a different doctor this time) that they consider all IVF pregnancies as high-risk. I was planning on going back to them for the 20-week ultrasound anyway, but then the big question is whether I keep going back to them after that point for monthly ultrasounds. They confirmed that they do think it's necessary for me to keep coming back since IVF pregnancies tend to have a higher risk for pre-term labor, pre-eclampsia, and growth issues. They didn't know why that is, but at least with pre-term labor (and possibly the growth issues too), I imagine that can probably be at least partially attributed to IVF pregnancies having a greater incidence of multiples, which have a higher rate of pre-term labor (IVF or not). So I don't exactly buy this as a valid concern for my situation, but I also wonder how much it would harm things if I just finished out the treatment plan the high-risk doctor laid out for me, just in case. 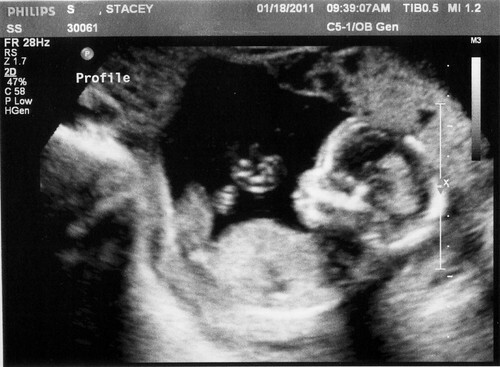 There are some concerns about repeated use of ultrasounds, and I'm also worried that I may be pressured to induce later on if they believe the baby isn't growing well (especially since ultrasounds are not always a very accurate way to determine weight), but I guess these will be things I talk to the midwives about later this week.